The news of the Roger Rabbit screenings in the UK was bigger that I thought. Future Cinema in London is presenting several performances of the Who Framed Roger Rabbit film. So, this is no ordinary screening. Future Cinema is a live events company that specializes in creating a new way to experience your favorite films - with actors, set pieces and special effects. 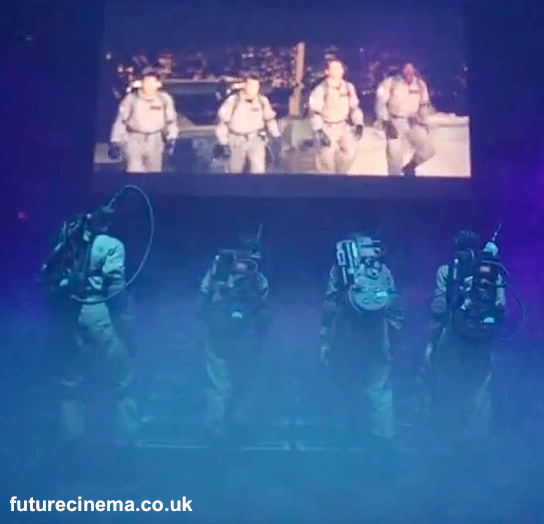 Their extremely stunning performance of Ghostbusters included the famous dining room set up on stage, lights and effects, audience assistance, and a giant Stay Puft Marshmallow Man. You don't just watch a movie, you are immersed in that world and become part of it. So what is planned for the Roger Rabbit performance? As of now we do know that the theater they are performing at will be set up like the Ink and Paint Club, so there's no doubt this will be a show worth seeing for yourself! These performances will start on February 14th and run through the 23rd. Tickets for the Who Framed Roger Rabbit performances are available through their website. You can also find out more details on their Facebook Page.